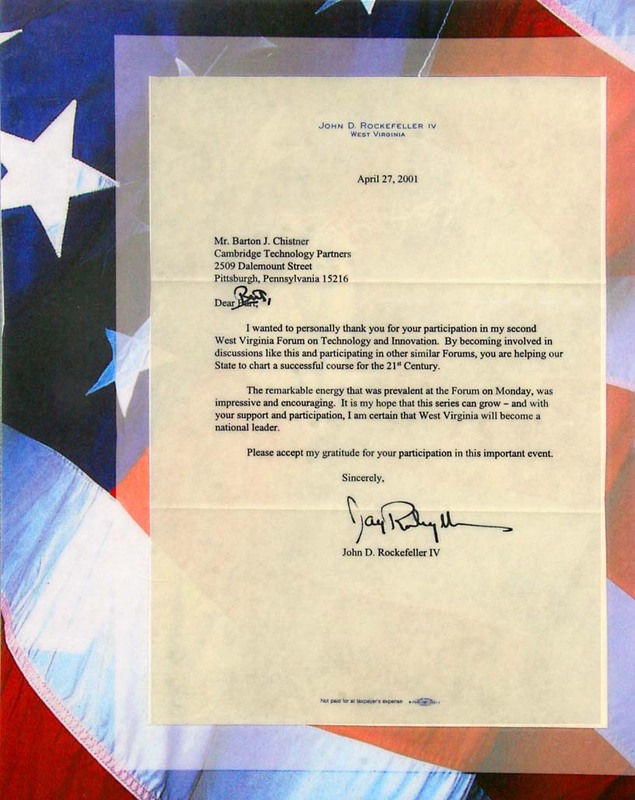 I wanted to personally thank you for your participation in my second West Virginia Forum on Technology and Innovation. By becoming involved in discussions like this and participating in other similar Forums, you are helping our State to chart a successful course for the 21st Century. The remarkable energy that was prevalent at the Forum on Monday, was impressive and encouraging. It is my hope that this series can grow - and with your support and participation, I am certain that West Virginia will become a national leader. Please accept my gratitiude for your participation in this important event.